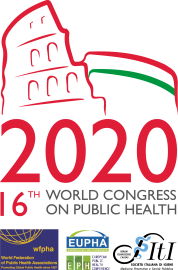 12th European Public Health Conference, Marseille, France, 20-23 Nov 2019. Main theme: ‘Building bridges for solidarity and public health’. Save the date: Attend the 12th European Public Health Conference in Marseille, France, 20-23 Nov 2019. Main theme: ‘Building bridges for solidarity and public health’. Become a EUPHA member as well and enjoy a reduction in registration fees and a year-long subscription to the European Journal of Public Health. Please visit the new EPH Conference website www.ephconference.eu for the latest news.